Here you can find jewelry and gifts for your beloved ones. Gift for her "Emerald Green"
Gift for her "Silver Embrace"
Gift for her "Golden Breath"
“Emerald Breeze” is a Reiki Charged, Charm Bracelet that is specifically designed for her. 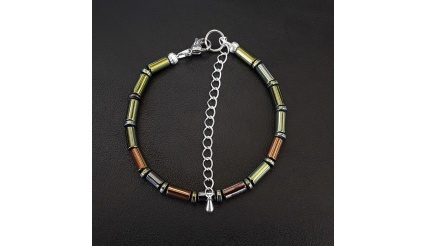 By using quality hematite gemstones and by crafting it with a beautiful, yet very strong thread, the “Emerald Breeze” bracelet is made to last. Imagine for a moment: you want to make a gift for her, your loved one, your wife, your mother, your friend, your girlfriend or your fiancé; wouldn’t you want to give them something special, something very beautiful, something that stands out and something that is meant to last? And the “Emerald Breeze” is exactly that! 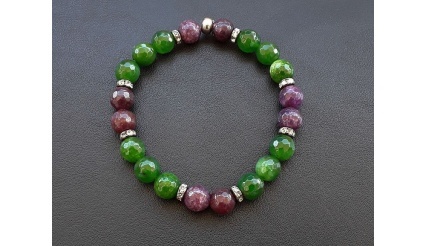 Emerald Breeze, the Reiki Charged Charm Bracelet that you would want your loved ones to wear. 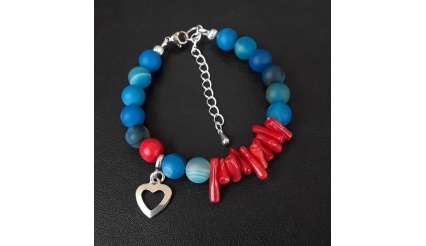 "Blue Sky" is a Reiki Charged, Charm Bracelet that is specifically designed for her. 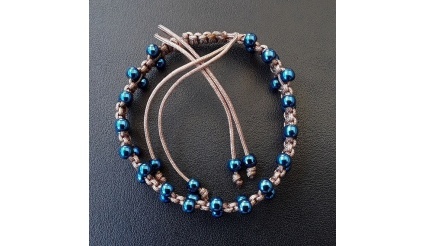 By using quality hematite gemstones and by crafting it with a beautiful, yet very strong thread, the “Blue Sky” bracelet is made to last. And the “Blue Sky” is exactly that! 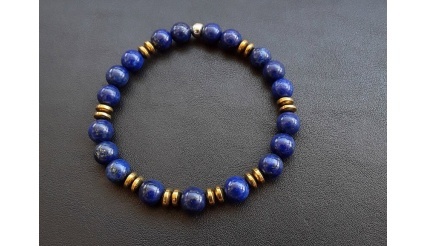 Blue Sky, the Reiki Charged Charm Bracelet that you would want your loved ones to wear. 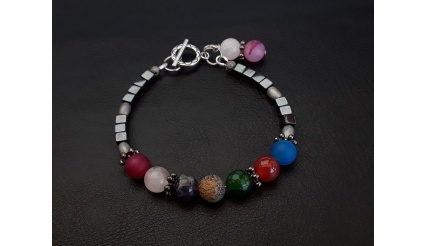 "Clear Sky" is a Reiki Charged, Charm Bracelet that is specifically designed for her. 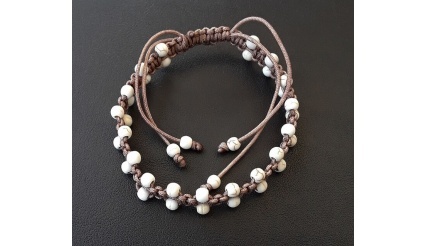 By using quality hematite gemstones and by crafting it with a beautiful, yet very strong thread, the “Clear Sky” bracelet is made to last. And the “Clear Sky” is exactly that! Clear Sky, the Reiki Charged Charm Bracelet that you would want your loved ones to wear. (Please Note: The Necklace is Handmade! The Design and the creation of the Necklace is exclusively done by DeMar). "Blue Star" is a Reiki Charged, Charm Necklace that is specifically designed for her. By using quality malachite and hematite gemstones and by crafting it with a beautiful, yet very strong thread, the “Blue Star” Necklace is made to last. And the “Blue Star” is exactly that! Blue Star, the Reiki Charged Charm Necklace that you would want your loved ones to wear. “Radiance” is a Reiki Charged, Charm Bracelet that is specifically designed for her, for your loved ones and for you! Be it as a gift for a friend, for a loved one, for someone you care or for you; the “Radiance” bracelet is designed to stand out. 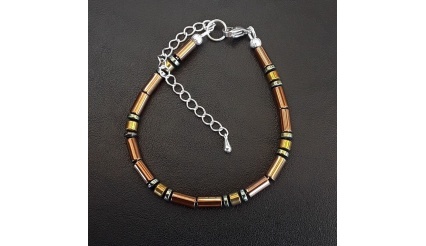 “Radiance” is an elegant, a beautiful, a colorful, a strong, a radiant and a very unique bracelet. 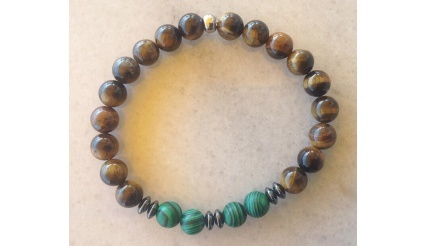 By combining quality Howlite, Agate and Coral gemstones – with the base colors of Blue, Turquoise, Red and Silver – the bracelet is meant to radiate while wearing it and as the light shines upon it. Moreover, the Heart on it is made of steel. 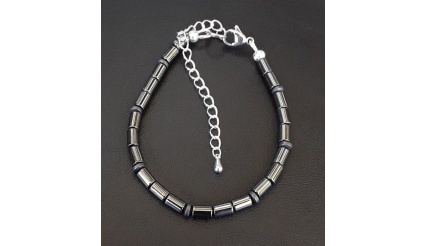 Toping that off, the bracelet has an adjustable steel-chain ending so as to fit on any wrist. 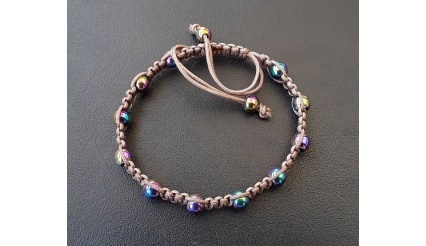 “Radiance”, the Reiki Charged Charm Bracelet that you would want your loved ones to wear.